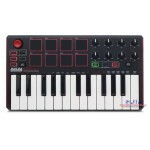 The Advance 49 from Akai Professional is a 49-key, USB MIDI controller that also features eight MPC ..
MAX25 places revolutionary control at your fingertips with the ability to command anything, from vin..
Akai Professional's MPK controller keyboards have become standard equipment in many professional MID.. The Akai Professional EWI4000S is a newly designed electronic wind controller. 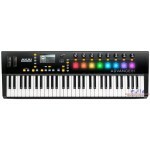 This expressive music..
Take full control over your entire virtual instrument collection with the Akai Professional Advance .. 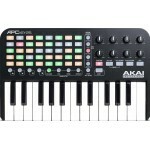 In 2009, Akai Professional collaborated with the creators of Ableton Live, a powerful music performa.. 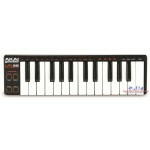 The Akai LPK25 Laptop Performance Keyboard is a USB-MIDI controller for musicians, producers, DJs an..
Go mobile without losing control. 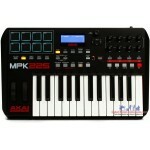 The MPK mini is an ultra-compact keyboard controller designed for ..